Enjoy the latest features of the Philips HD1182 Dry Iron that has been engineered in an advanced manner. It has everything you expect from an improved ironing device. It works with efficiency and offers quick results. Keep your clothes wrinkle-free and ready for use with it. The fast heating enabled by 1000 W signifies that the device is ready for use almost instantly. 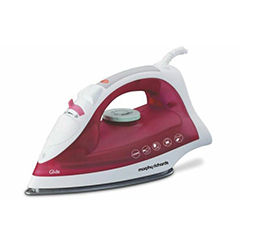 This dry iron by Philips comes with a two years manufacturer’s warranty and you can order this today on our shop. 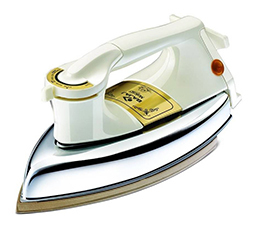 The sole plate of the Philips HD1182 Dry Iron is speed shaped and Teflon 2 coated so that is durable and smoothly glides over all types of fabric. Ironing of the clothes will become automatically faster with this fantastic product from the house of Philips. 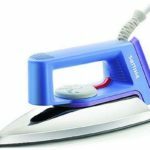 It has a non-stick surface which means you will be able to iron clothes even at high temperature settings without any surface shine or damage. 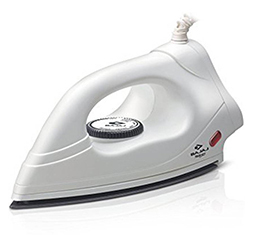 You also do not have to worry about overheating of this Phillips iron. The LED indicator light will let you know when the desired temperature is reached. This way you can begin ironing when the device is ready. 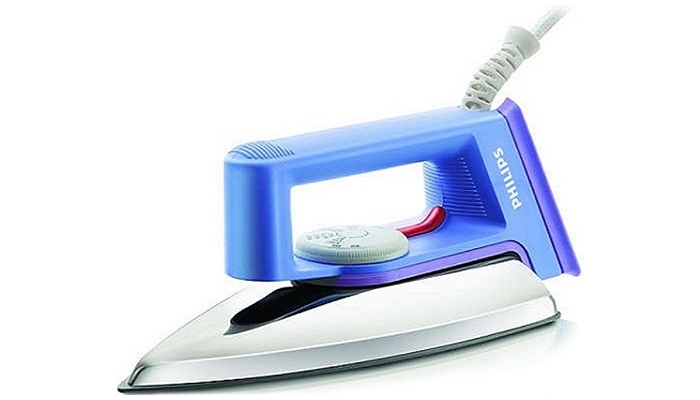 The Philips HD1182 Dry Iron has a lightweight design for maximum portability. 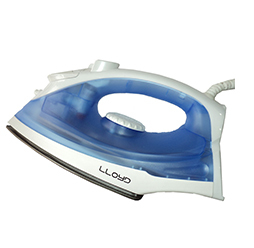 Convenient to use and also to carry along, it weighs only 900 g. The dimensions of the Phillips iron are 237 x 105 x 118 mm (WxHxD). It has a compact size that fits within your hand luggage easily. The presence of the cord winder further facilitates easy storage. You can wrap around the cord of this electric iron across the heel rest when it is not in use. 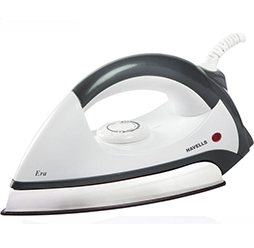 This dry iron consumes 1000 W power and has a voltage requirement of 240 V. The speed shape of the sole plate of the device ensures easy access to all hard to reach places on the clothes like the pleats of skirts, fabric near the shirt buttons, all those tricky places around and under the shirt collars, and so on. 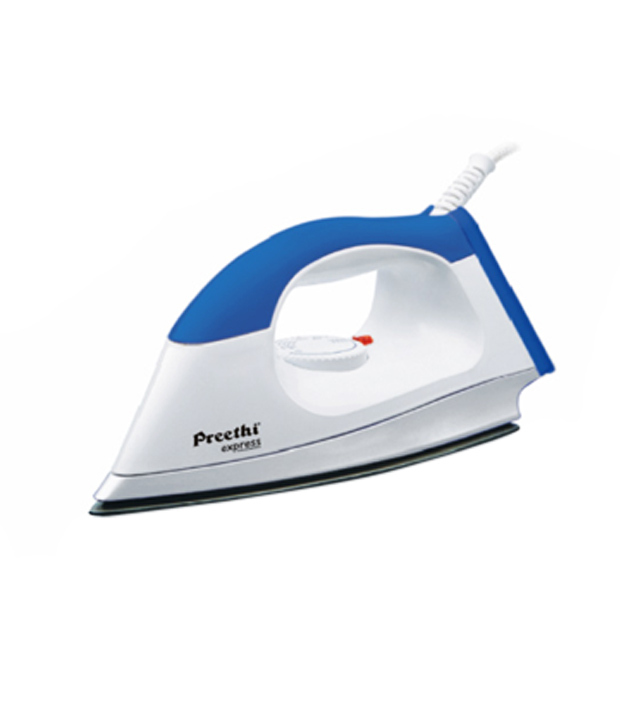 This dry iron is thus packed with useful features and will be of optimum use to you. Hence, do not wait any longer. Go ahead and get the Philips HD1182 Dry Iron to make the most of it.